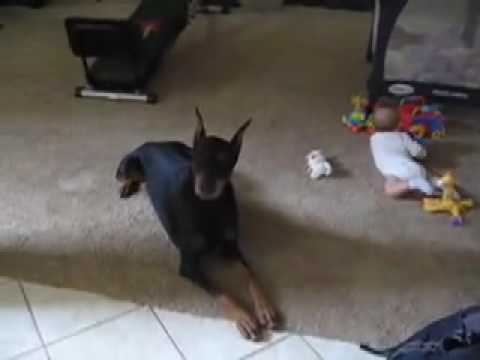 After a while, the other dog approaches “appropriately” on his belly, and Zorro let him close to the baby. They are all good friends now. What a sweet dog! Enjoy the video.